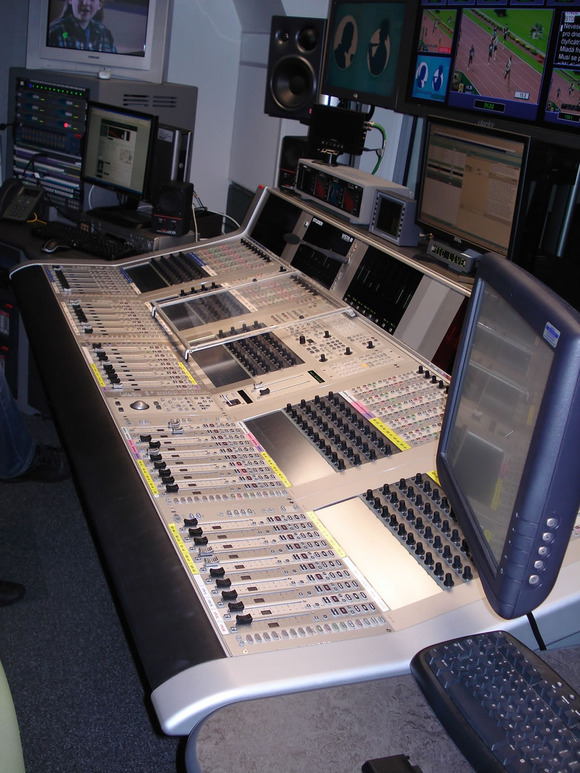 PRAGUE, Czech Republic – Czech Commercial TV station, TV Nova, has been a prominent customer of AudiTech, Studer’s Prague-based distributor, since its first broadcast in 1994. Now celebrating 15 years of highly successful operation it has grown to become by far the most important member of the CME Group, achieving market leader status with revenues and profits making it the biggest private TV station in the Czech Republic. During this time Nova has also continually strived to pioneer new advanced technologies, with the help of AudiTech serving as a competence centre. With fibre optics and Ethernet networks progressively penetrating studio environments, these new technologies are implemented, tested and used by AudiTech on a daily basis. It was this open-mindedness that drove the sale of the first Vista 6 (Serial No. 0002) six years ago. This oldest broadcast and production console remains in use on News Center 2 (on the paid-for Nova Sport channel). Configured 80-In/80-Out, 46 channels, 27 busses, its primary use is live on-air application and recording. The flagship of TV Nova is the Vista 8, delivered as a part of a turnkey solution to News Center 1 by TLS studio house (with commissioning and after-sales support handled locally). This system comprises 160-In/138-Out, 98 channels, 48 busses and ten shared processes. The ‘8’ is used for live news in prime time on the main TV Nova channel, live morning show and many other news-related production tasks. However, the latest member of the Vista family to join the TV Nova family is the Vista 5. This was recently commissioned for use in the new Production Center, which is mainly used for recording MTV programmes linked to a ProTools workstation via MADI. It boasts an impressive SCore matrix, configured 282-In/192-Out (including 64-channel MADI), 88 channels, 46 busses and 13 shared processes. Its remote location (800 metres away in another complex) with optical fibre connectivity in place, opens up plans for resource sharing via Studer’s RELINK system in the New Year.